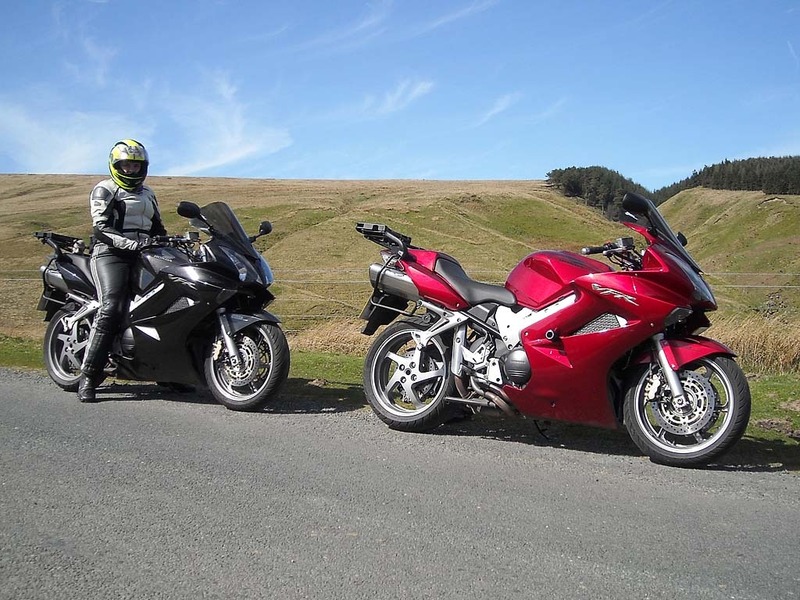 Helen and I went on a ride yesterday with into the Dales. Due to the recent good weather we decided to stay off the main roads as they have been very busy of late. We stopped briefly on our way at Clitheroe Services to fill up with fuel and then headed off on the A59 to Skipton. We took our usual route to Settle via Sawley, Wigglesworth and Rathmell. We passed by Settle which was already looking quite busy considering the early time of day. We left Settle on the B6479 but soon turned right in Lancliffe heading for Malharm Tarn. Just as we started up the steep incline of hairpin bends, the car infront of me stalled. I had nowhere to go and had to come to a complete stop behind him, Helen was thankfully able to pass by him without stopping. At that point he started to roll backwards so I had to reverse slightly down the hill. Eventually he stopped the car and managed to get goign nearly burning out his clutch in the process. I soon got passed him and expressed my opinion on his driving ability. We then bared left at Malham Tarn and headed towards Arncliffe, we passed by some Gate warning signs but to my dismay they have removed them. We then passed through Darnbrook House and alongside the Great Clowder where we stopped to take a few photos. We then passed through Arncliffe and headed towards Kettlewell after joining the B6160. We stopped in Kettlewell for a short while to have a lunch at the Cottage Tea Room. We left Kettlewell and headed towards Braidley we negotiated Park Rash and passed alongside Hunters Stone Bank. We then passed through Horsehouse and Gammersgill before arriving in Carlton. We then continued through Melmerby and Agglethorpe before joining the A684 at Wensley. We continued down the A684 into Leyburn where we took a left and headed over Preston Moor Towards Reeth. We then went over Ellerton Moor before dropping down into Grinton. 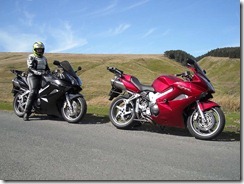 At Grinton we joined the B6270 and headed into Reeth. From Reeth we continued down the B6270 heading for Muker. We passed through Healaugh, Feetham and Gunnerside on the way to Muker. Just after Muker we turned left and headed over Buttertubs Pass to Hawes. Hawes was absolutely packed so we stopped at the Creamery instead. 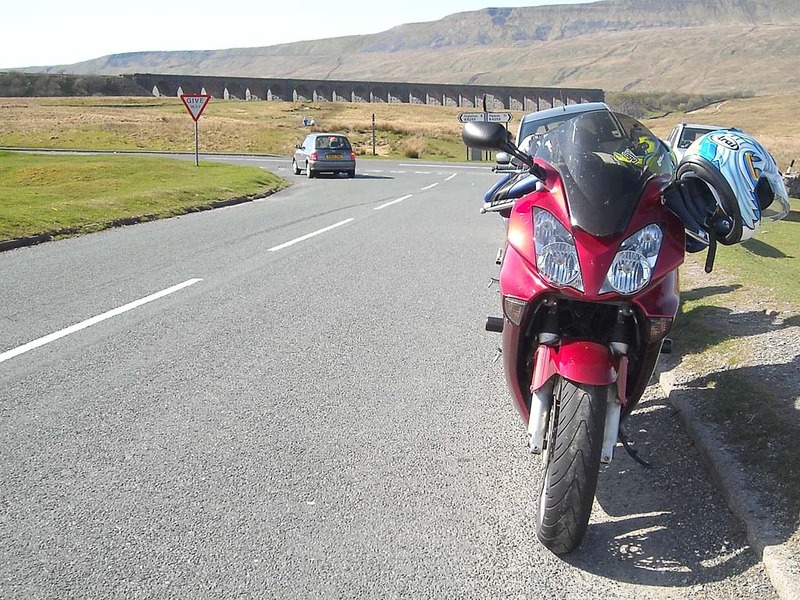 We left Hawes and took the B6255 to Ribblehead Viaduct, where we stopped for an ice-cream. 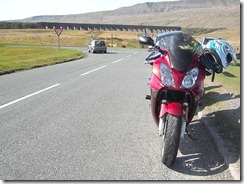 After Ribblehead we continued down the B6255 to Ingleton. At Ingleton we went straight on and took some minor roads to Bentham. We did a right and then left in Bentham and went passed the railway station and then headed on minor roads over Lythe Fell. We then passed close to Stocks Reservoir which was on our leftbefore arriving in Slaidburn. We left Slaidburn on the B6478 passing through Newton and Waddington on our way into Clitheroe. We then went over Sabden and headed home via the A56/M66.